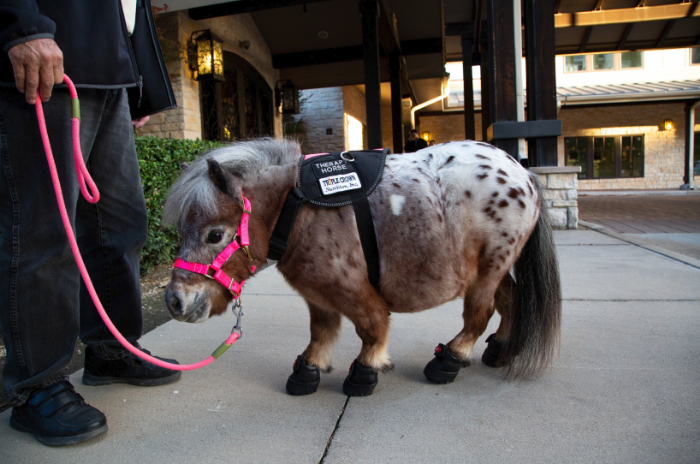 Therapy pets are nothing new, but it’s no longer just service dogs who are given the job. 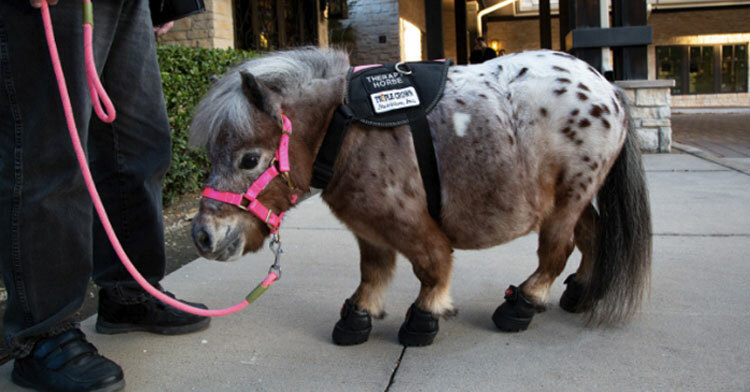 Jim and Linda Woods have trained four of their five miniature ponies to serve as therapy pets through their organization, Mini Hooves Of Love, in Texas. 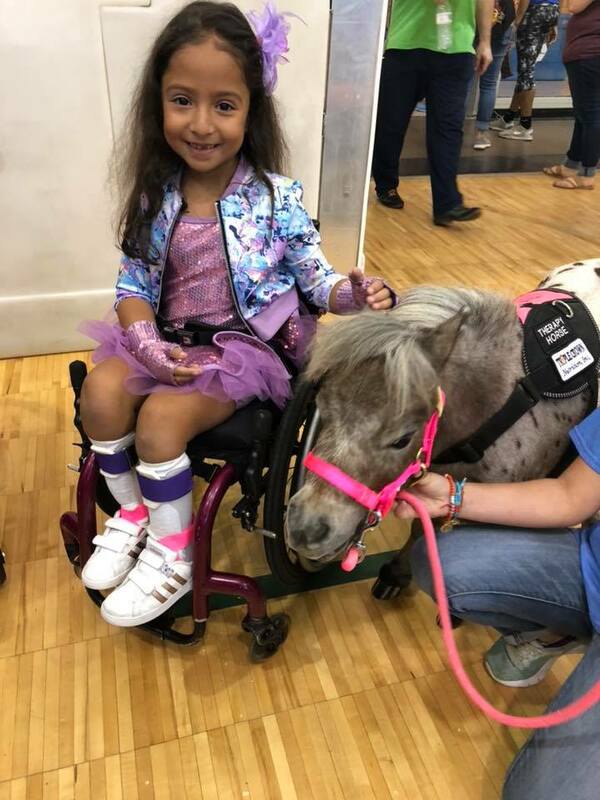 They use the ponies to bring smiles and joy to pediatric patients and their families staying in nearby hospitals. Jim and Linda fell into running this organization seemingly by accident (or fate, however you want to look at it). 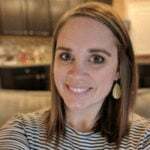 They both previously worked in the medical field and Linda simply wanted to get a horse to live on their property in Texas. After a couple of years taking care of quarter horses, the couple realized the big horses were too much work for them. They decided to adopt mini horses and planned to do shows, but the show life wasn’t as fulfilling as they had hoped. Then, in 2011, they received a call from a family whose baby was in hospice care. The family asked the Woods if they’d be willing to bring a mini horse over to visit their baby daughter so that she could touch and smell a horse before she passed. After that life-changing experience, Jim and Linda couldn’t think of a better way to spend their lives. 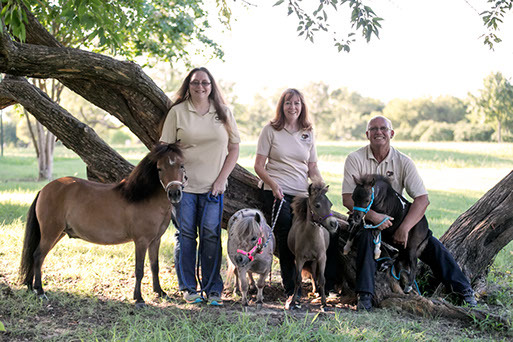 Currently, Jim and Linda have five ponies, Faith, Hero, Hope, Monarch, and Valor (who is still in training to be certified as a therapy pet). 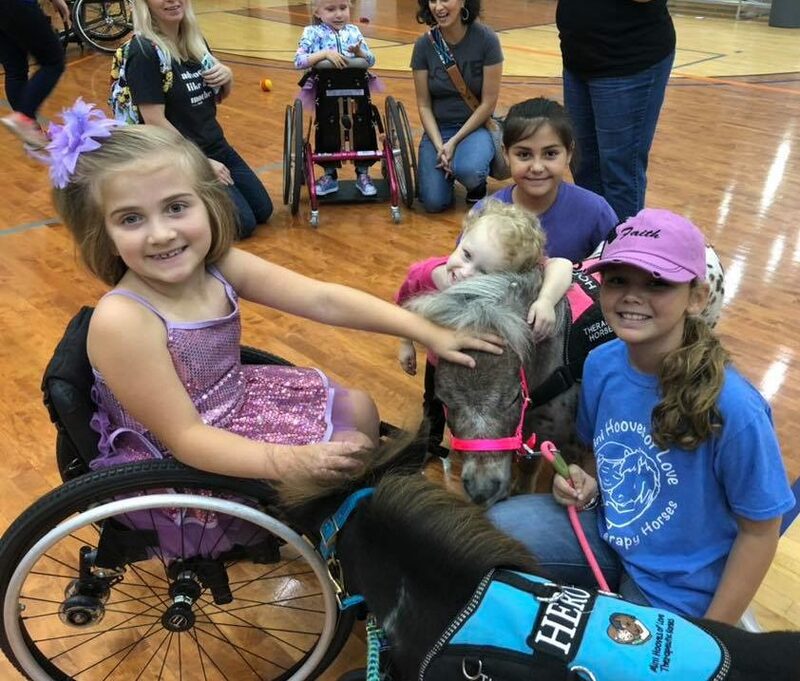 They bring the cute little horses to area hospitals and Ronald McDonald homes so kids and families can interact with them and benefit from their therapeutic effect. Since then, Mini Hooves of Love has been operating solely on donations from sponsors and the public. 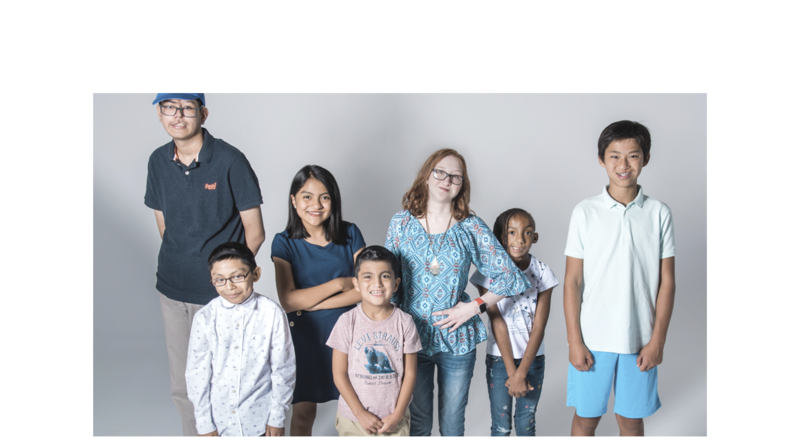 They go on daily visits to hospitals around the Dallas/Fort Worth area as well as to larger events. They are even training the horses to help kids recognize (and love) differences in each other as an anti-bullying training method. The kids and families love to visit with the horses, and Jim and Linda. 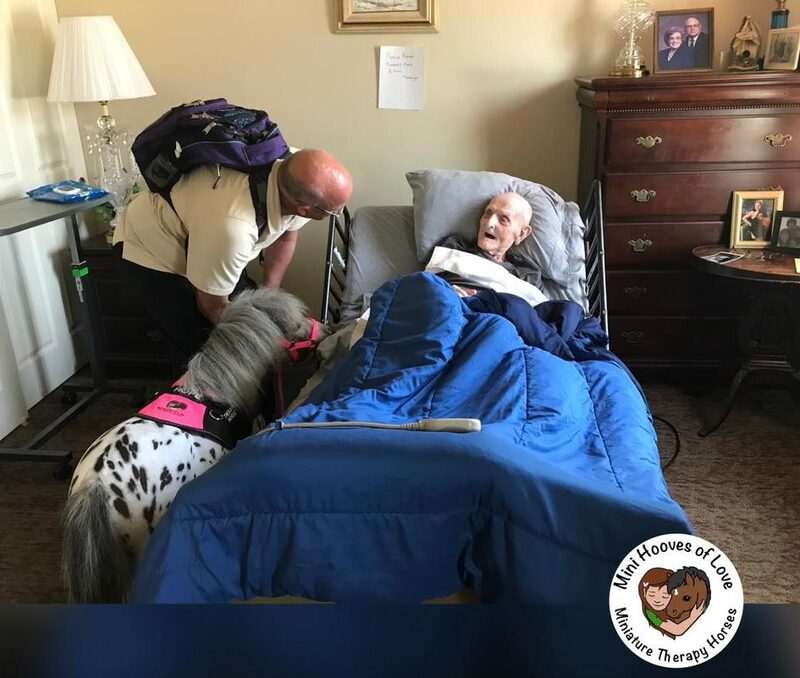 No matter what life throws at them during the day, the Woods always go to bed with a sense of purpose and knowing they brought smiles to those who needed them the most. 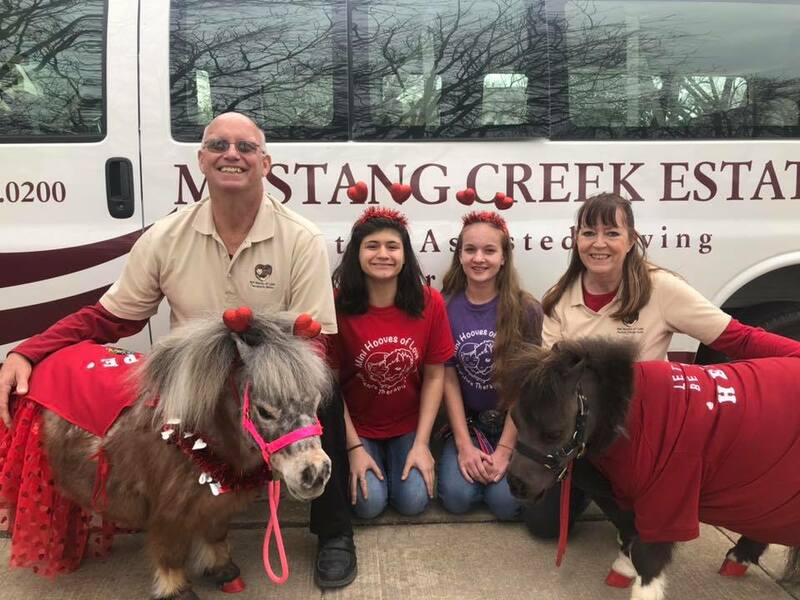 Check out the Mini Hooves of Love website to learn more about their amazing organization, and be sure to share this story with your friends!